In 1957, Piaget revolutionised the watchmaking world by launching an ultra-thin watch defining the codes of a new elegance. The unprecedented thinness of its profile and the purity of its dial endowed it with a distinguished look that immediately earned it a place in watchmaking history. A legendary timepiece was born. To mark the 60th anniversary of the launch of its iconic model, the Manufacture de Haute Horlogerie Piaget is dedicating the year 2017 to the Altiplano. Celebrated by a limited numbered edition, it welcomes for the very first time a tourbillon – the noblest of watch complications – and lights up with original radiating colours. Through this new Altiplano anniversary collection, supreme elegance reveals itself ever more precisely, like a skyline opening up fascinating new perspectives. Ever since it was founded in 1874 in La Côte-aux-Fées, a small village in the Swiss Jura, the history of Piaget has been inseparably bound up with that of ultra-thin watchmaking. The 20th century had barely begun when the Maison began appearing in supplier catalogues as an expert in ultra-thin components. Perpetuating the family tradition of boldness and perfection, Valentin Piaget revolutionised the watchmaking world in 1957. His ultra-thin 9P manual-winding movement presented at the Basel watch fair became an instant legend. Being just 2 mm thick, the 9P was universally hailed for the elegance of its profile and its, as well as for its performance and its reliability. Above all, it enabled a broader 20.5 mm dial opening, heralding a new watchmaking aesthetic, while facilitating the construction of a remarkably slim timepiece. Three years later, in 1960, the founder’s grandson scored another success with the 12P, an ultra-thin self-winding measuring just 2.3 mm. This previously unthinkable degree of thinness was made possible by the use of the 24K gold off-centred micro-rotor, ensuring optimal barrel-spring winding efficiency. On April 27th 1960, the published an article singing its praises: “”. Keenly aware of having taking a decisive new direction, the Manufacture decided to dedicate the 12P to its men’s models, while equipping both men’s and ladies’ watches with the 9P movement. By becoming a specialist of ultra-thin horology, Piaget demonstrated its taste for making daring moves. These two revolutionary calibres enabled Piaget to focus firmly on the modern nature of ultra-thinness and thereby invent a new horological design vocabulary. Especially since the Maison announced at the time that it would be concentrating its endeavours on the finest materials: gold and platinum. 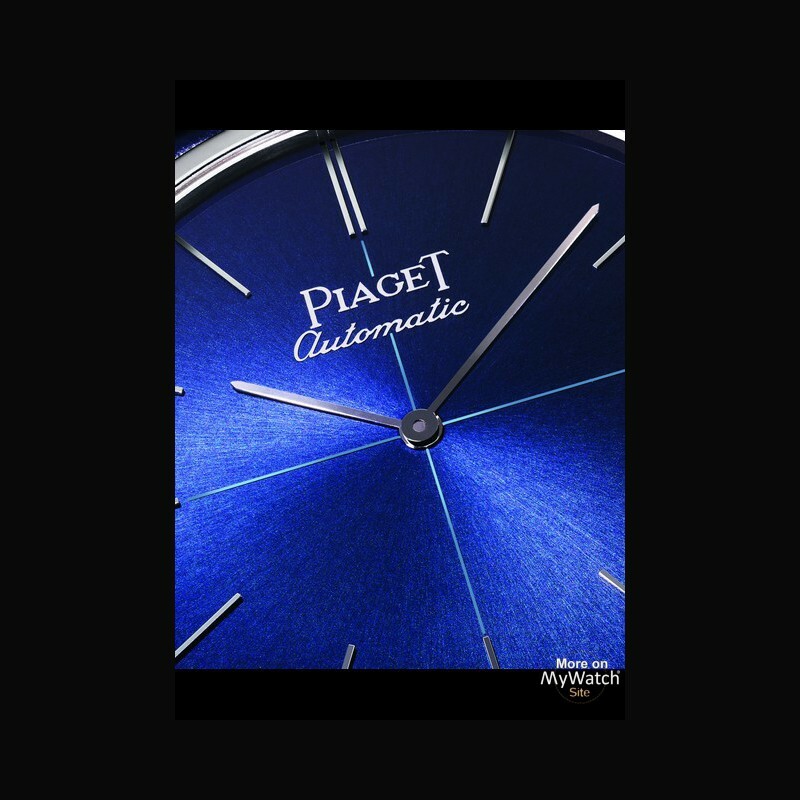 The slenderness of the movements unleashed creativity in terms of both dials and cases, thereby highlighting Piaget’s unique style. Representing the peak of timeless distinction, the ultra-thin Piaget watch is endowed with finely balanced proportions whose purity conveys a sense of discreet, unostentatious elegance. The aesthetic delicacy of its case is extended by a large dial epitomising ageless restraint. This generous face is graced by a subtle alternation between slim single and double hour-markers, swept over by slender baton-type hands confirming this art of understatement. 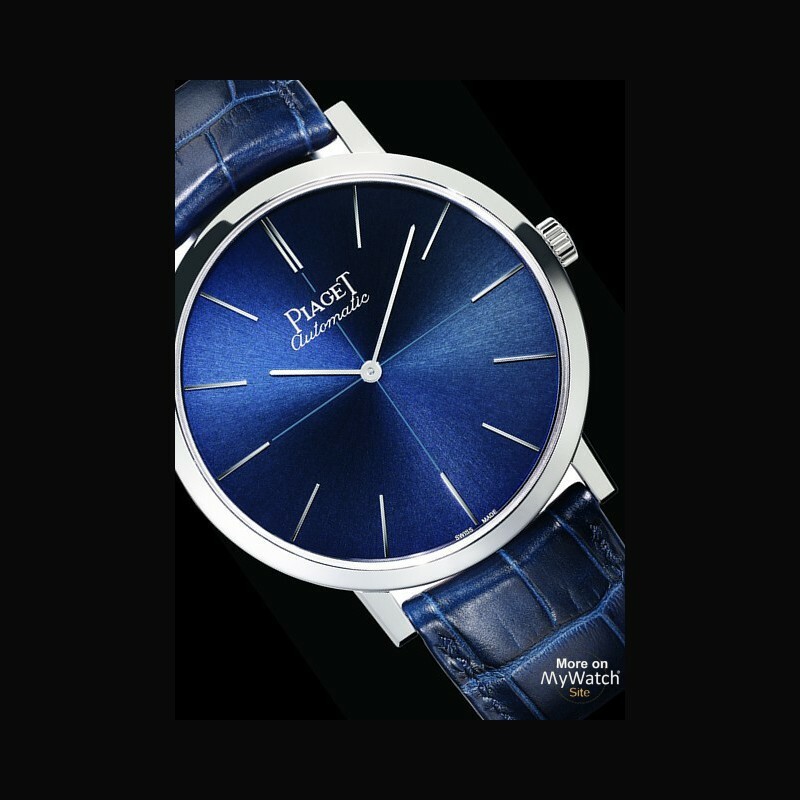 Renowned for its perfect ergonomics, the ultra-thin Piaget watch radiates an allure that immediately delights clients looking for style stripped of anything superfluous. A principle epitomised by Alain Delon, the French actor and style icon of his generation who adopted it in the early 1960s, as well as by today’s Piaget International Ambassador Ryan Reynolds. 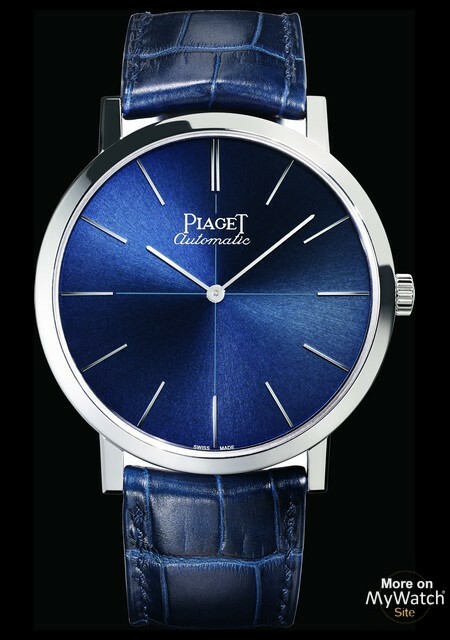 Nonetheless, the apparent simplicity of the ultra-thin Piaget watch conceals great horological sophistication, exemplified by the circular Côtes de Genève, bevelled bridges, circular-grained mainplate and blued screws. Each stage in the making of an Altiplano watch, from its development through to its finishing, is performed in specialised Fine Watchmaking workshops where the full in-house integration of diverse skills guarantees the trademark Piaget excellence. 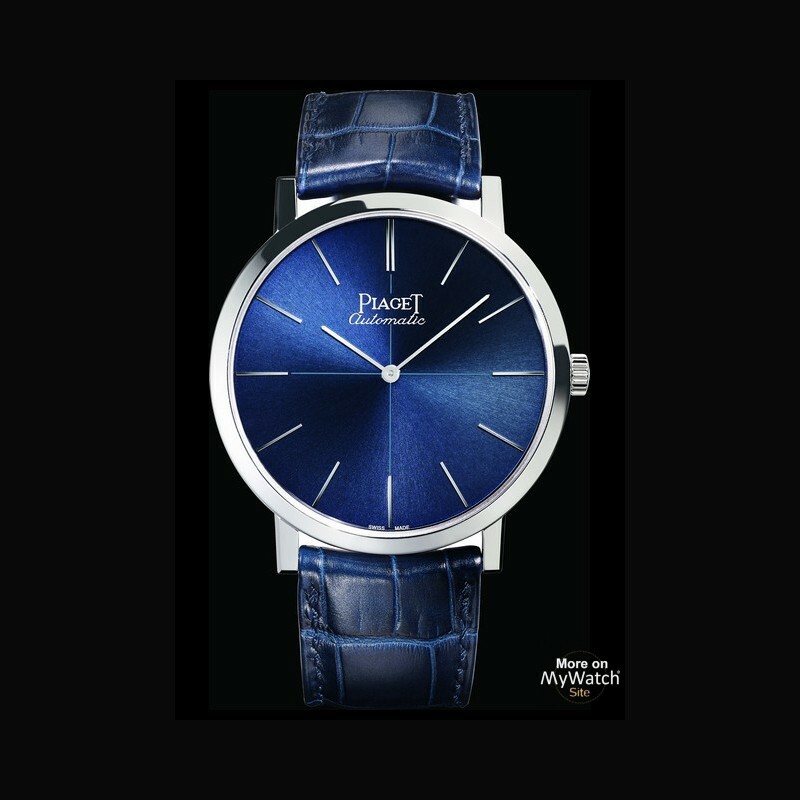 Presented in 1960s and advertised as “the watch of the international elite”, the ultra-thin Piaget model has evolved over the decades in perfect sync with the times. When pop culture reigned supreme, dials turned colourful with hard ruby, tiger’s eye, lapis lazuli, coral, malachite, onyx and jade stones. White and yellow case bezels and lugs were adorned with sophisticated “Clous de Paris” hobnail guilloché patterns or set with diamonds. 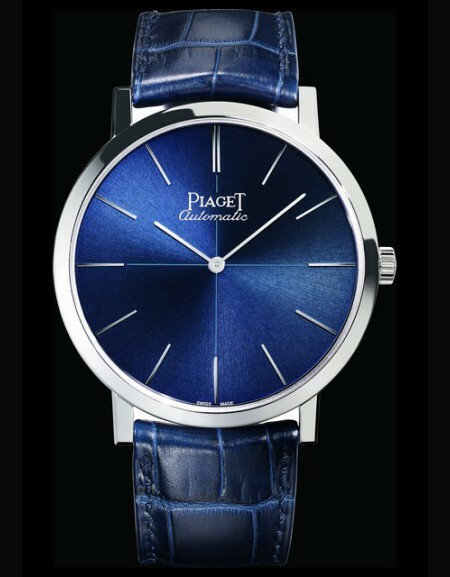 Whether for 1970s businessmen in double-breasted suits flying to New York on Concorde; or for neo-dandies shunning any ostentation, the ultra-thin Piaget watch remained an inseparable companion. Named in tribute to the eponymous high-altitude plateau of the Andes Cordillera mountain range, an environment vividly reflecting the pure and natural beauty of its stellar model, Altiplano lent its restrained elegance to the new century’s desire for absolutes. Its skeletonised design revealed the magic of an airy mechanism featuring openwork components pushed to the very limits of their resistance. This inherently playful collection dared to introduce an iconoclastic version of the dual-time function, measured by two stacked cases with the Altiplano Double Jeu. The Altiplano line continued to develop, welcoming ever richer technical content, such as the calendar or chronograph, while losing nothing of its signature slimness and elegance. In 2014, to mark Piaget’s 140th anniversary, the Manufacture once again revolutionised the ultra-thin world by presenting the Altiplano 38 mm 900P. Symbolising the unbelievably audacity of literally merging the case and movement, the new timepiece showcased an inverted movement construction, revealing the bridges and the going train on the dial style to create a unique and hypnotically fascinating sight. Connoisseurs also appreciate its generous 48-hour power reserve, ensured by a suspended barrel held by a single bridge. 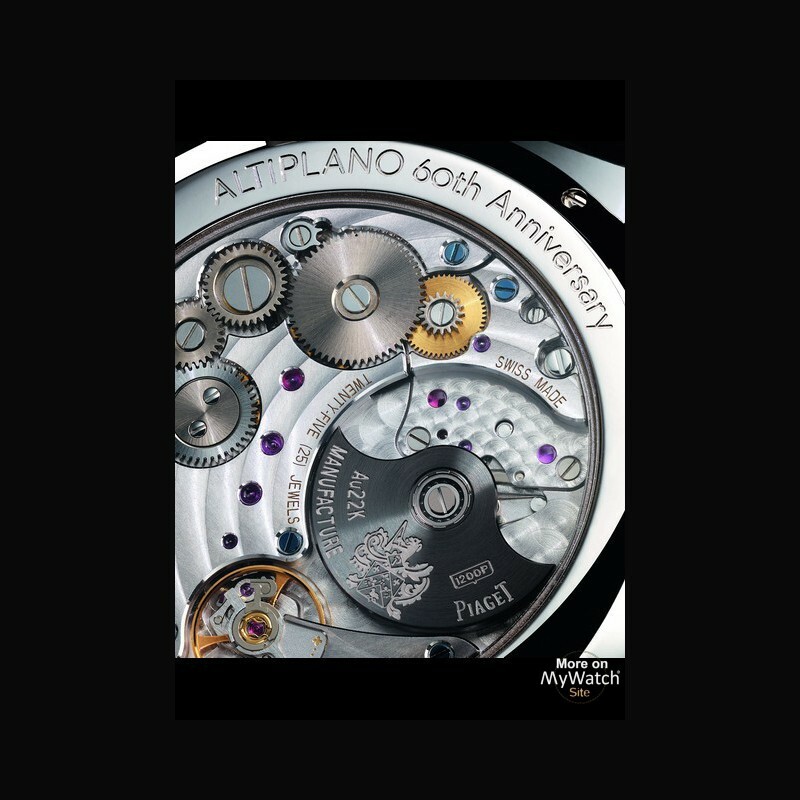 Capable of adapting to the lifestyle of each individual – whether complementing a smart tailor-made two-button suit jacket with open lapel buttonholes, or a casual look with a cashmere sweater teamed with a pair of loafers – the Altiplano 38 mm 900P firmly anchored the iconic watch in the third millennium. In 2016, it even appeared set with diamonds right the way through to the heart of its movement (Altiplano 900D), a technical and elegant feat that Piaget is alone in offering. Loyal to its reputation, Altiplano is celebrating its anniversary with its characteristic supreme elegance. Stemming from an ongoing dialogue between horological tradition and the new millennium, the anniversary collection opens up whole new horizons inspiring a lifestyle based on essential values. Among these, elegance released from any superficiality remains a benchmark, and absolute distinction a guiding principle. The two models – one manual-winding and the other self-winding – are inspired by the aesthetic characteristics of the first ultra-thin Piaget watches: an historical logo, applied gold hour-markers and a central cross, in tribute to the origins of the line. Each features a sunburst dial in the historical Piaget blue, a deep shade somewhere between cobalt and midnight blue. The result is the epitome of vintage elegance with a contemporary twist. 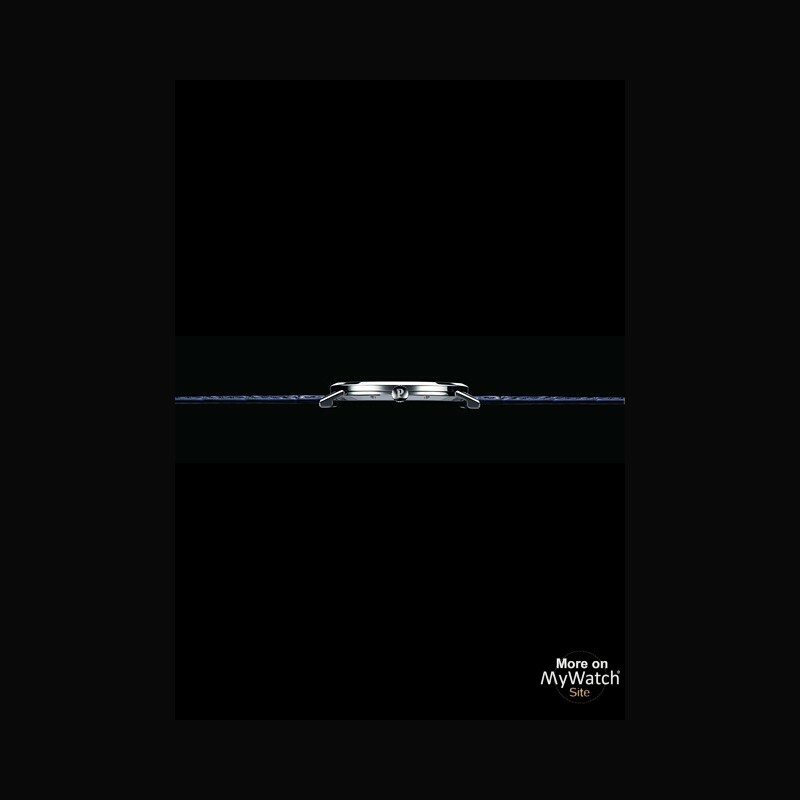 Likewise, the understated blue cross engages in a fascinating visual dialogue with the applied white gold hour-markers and the slim baton-type hands typical of the line. The 43 mm diameter of the self-winding model emphasises the perfectly balanced lines of the Piaget Altiplano. The historical mention “Piaget Automatique”, which appeared on the very first ultra-thin timepiece by the Maison, also sets the seal on this new model. In honour of this large-sized ultra-thin watch, the Manufacture de Haute Horlogerie Piaget has equipped it with Calibre 1200P (2.35 mm thin). The result of a full three-year development process, this exceptional modern calibre was presented in 2010 for the 50th anniversary of the legendary 12P. It forms a bridge spanning past and present, while paying homage to the Manufacture’s rich history. The 18K white gold case fitted with a sapphire crystal is an open invitation to admire the splendid finishing, such as the bevelled bridges adorned with circular Côtes de Genève, the circular-grained mainplate, the satin-brushed steel parts and the blued screws. Adopting the off-centred micro-rotor principle of the legendary calibre, the Self- Winding version reveals a gold oscillating weight engraved with the Piaget coat-of-arms. At the heart of the new Piaget Altiplano 38 mm-diameter model beats a manual-winding Calibre 430P (2.1 mm thick). Developed, produced and decorated by the Manufacture de Haute Horlogerie, this movement has established itself as a worthy heir to the 9P. Like the latter, universally acclaimed in 1957 for the beauty of its profile and its construction, Calibre 430P is renowned for its aesthetic appeal and its reliability. 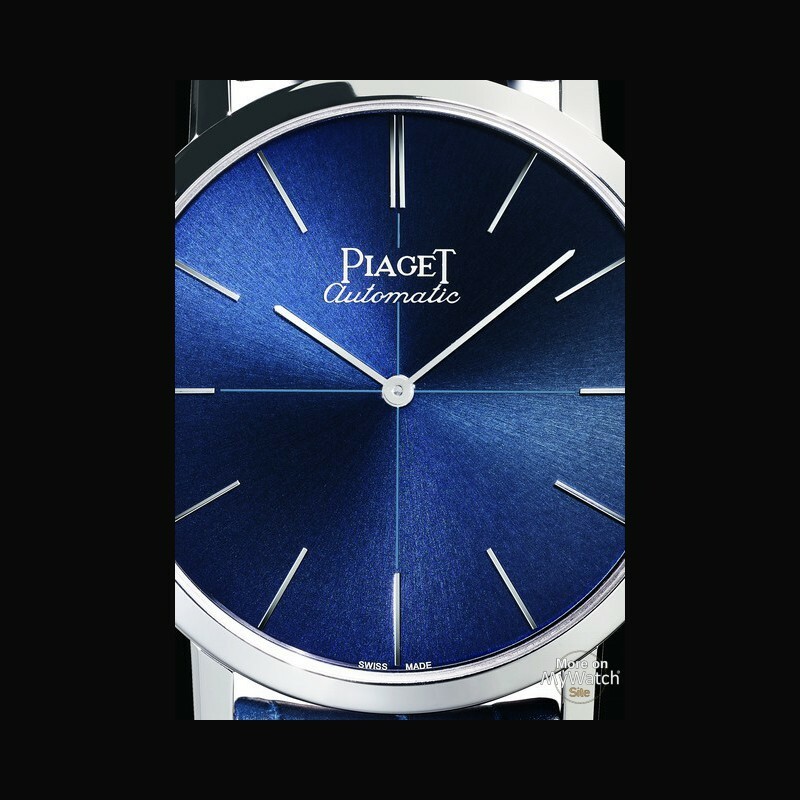 It confirms Piaget’s unique expertise in the demanding world of extreme thinness.